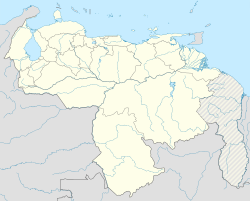 Chuao is a small village located in the northern coastal range of Venezuela, founded in the 16th century. The village is famous for its cacao plantations, Diablos danzantes and San Juaneras. The village is surrounded by mountains and dense rainforests to the south and the Caribbean Sea to the north. The nearby Henri Pittier National Park the oldest national park in Venezuela created in 1937. There is no road access and visitors must come by boat from the town of Puerto Colombia along the coast, or by foot, crossing the mountains and the cloud forest from Turmero near Maracay. The Chuao plantations has been there for over 400 years growing Criollo and hybrid varieties of cacao. Chuao beans are of very high quality, and are considered world's finest beans together with Porcelana Blanca beans from Lake Maracaibo extremely rare and celebrated for their freshness. They are also the most expensive in the world. The Chuao region is hemmed in by mountains which reduces contact with people and insects from other areas. Scarcely 20 tons of cocoa are available each year. In November 2000, the Chuao cacao beans were awarded an appellation of origin under the title Cacao de Chuao, allowing producers to negotiate higher prices and attract investment. Experts agree that the high quality of the cacao beans of Chuao is not only because the genetic varietal that exists in the plantation but because the intense work of La Empresa Campesina of Chuao during the pre harvest, harvest and post harvest. The Empresa Campesina of Chuao is a female-run company and the only organization with the right to harvest the Chuao plantation. Their farming, fermenting and drying techniques have been passed on from generation to generation and because of this the high quality of the Chuao cacao beans remains constant through the years. Since 2014 La Empresa Campesina of Chuao has an exclusive partnership with Tisano - The Cacao Company and through this partnership they, alongside with chocolate makers such as Roszavolgyi Cscokolade, Soma Chocolatier, Patrice Chapon, Pierre Marcolini, Alain Ducasse, Raoul Boulanger and Idilio, have implemented a Traceability Certificate to ensure that only the Chuao beans that were harvested in the Chuao village make it into chocolate bars that are marketed as Chuao origin. This traceability certificate assigns 1.020 kg per harvest and a unique serial number to each chocolate maker. Chuao also prides of maintaining its tradition of Los Diablos Danzantes which is a group of men and boys that during the Corpus Christi celebration dress up with black masks, colorful clothes and do different dances during three days in honor of Jesus Christ and promess made during the year. [better source needed] Since 2012 this manifest was included in the UNESCO Representative List of the Intangible Cultural Heritage of Humanity by elements that "help demonstrate the diversity of [cultural] heritage and raise awareness about its importance". ^ "Branding Matters: The Success of Chuao Cocoa Bean". World International Property Organization. Retrieved 2015-10-16. ^ "Viaje al cacao de Chuao". www.el-nacional.com. Retrieved 2016-10-11. ^ White, April (2016-05-11). "The Potential and Pitfalls of Geographical Indications for Cacao". Chocolate Class. Retrieved 2016-10-11. Wikimedia Commons has media related to Chuao. This page was last edited on 24 July 2017, at 19:56 (UTC).